We are back in full swing, ready to help with your new or repair projects. Email or call us for a quote for your drainage requirements. WITH THE FESTIVE SEASON FAST APPROACHING, ON BEHALF OF OUR FAMILY TO YOURS, WE WOULD LIKE TO TAKE THIS OPPORTUNITY TO WISH YOU ALL A VERY MERRY CHRISTMAS AND A HAPPY AND SAFE NEW YEAR. THANK YOU TO ALL FOR YOUR CONTINUED SUPPORT THROUGHOUT THE YEAR AND LOOK FORWARD TO WORKING WITH CUSTOMERS NEW AND OLD, IN THE COMING YEAR. 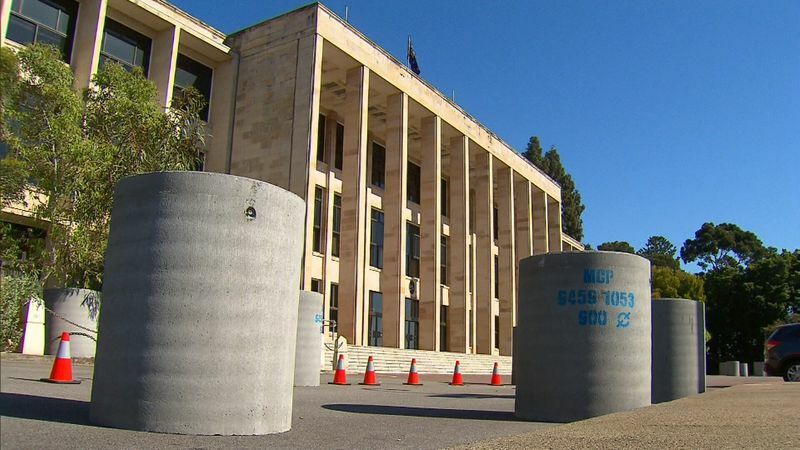 Very proud to see our products installed infront of Parliament House Perth, in the hope to deter any terrorist attacks. Follow link below, for full article. Be prepared for next winter. If your car park, paved area, back yard has flooded this winter, now is the time to start thinking about installing soakwells.